The condition of a cat’s paws definitely impacts its overall health and well-being. As a pet owner, you want to be able to provide your cat with the best quality of life. 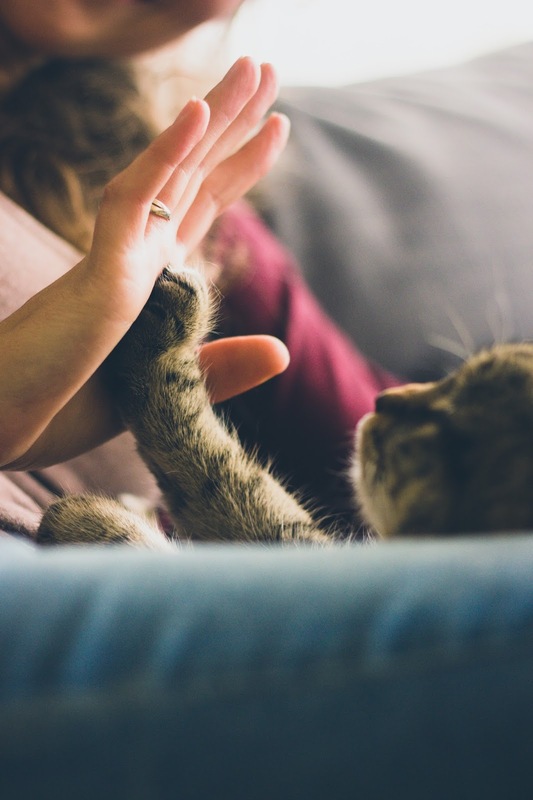 Just as providing quality cat food can help with this goal, knowing what you need to do for your cat’s paws can have the same kind of positive impact. There are three main steps involved in a good paw care routine. The best approach to this routine starts with examining all of your cat’s paws. This step is important because it gives you a chance to check for anything that doesn't look quite right. Whether it's a splinter or scratch, you'll be able to tell if your cat has any injuries that require attention. While you should be able to handle minor issues on your own, don't hesitate to enlist help from your vet for more serious ones. Once you've checked out your cat's paws, you can move on to wiping them. The reason this step is important for both indoor and outdoor cats is it helps ensure there's nothing on your cat's paws that could make it sick. You can use a warm, damp cloth for this task. As you wipe, be sure to get all around the paw pads and between toes. Trimming is the last step in this process. Although this process can be intimidating at first, the main thing is to take your time and not feel pressured to get all nails clipped in a single session. The other type of trimming you may need to do for your cat is long hair coming out of the paws. By trimming this hair with a small pair of rounded scissors, you can prevent your cat from feeling any discomfort related to excess paw hair. In addition to examining your cat's paws, wiping them and taking care of nails or hair that need to be trimmed, there are two other ways you can provide ongoing paw care. The first is massaging your cat's paws. Not only can this be a very pleasant experience for your cat once it gets used to the experience, but it will also help your cat be more comfortable when you perform other types of paw care. The second way to provide ongoing paw care for your cat is with a scratching post. This item will keep your cat engaged. It will also naturally file your cat's nails and reduce how often you need to trim them. Many cats enjoy the experience of having multiple types of posts to scratch. As with other types of care, consistency is key. That's why the best thing you can do is find a paw care schedule that works great for both you and your cat!